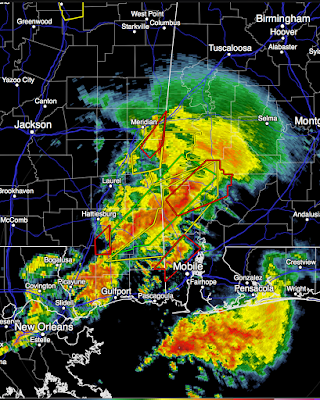 The tornado threat continues over a broad area of the South. 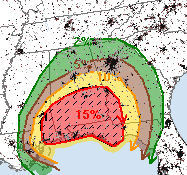 Below is the updated tornado forecast at 7pm. 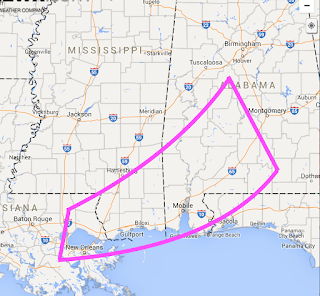 The area outlined in purple has, in my opinion, a dangerous risk of tornadoes between now and 11pm. As of 6:14pm, a number of tornado warnings are in effect (red polygons). Now that it is dark across the area, the danger goes up. 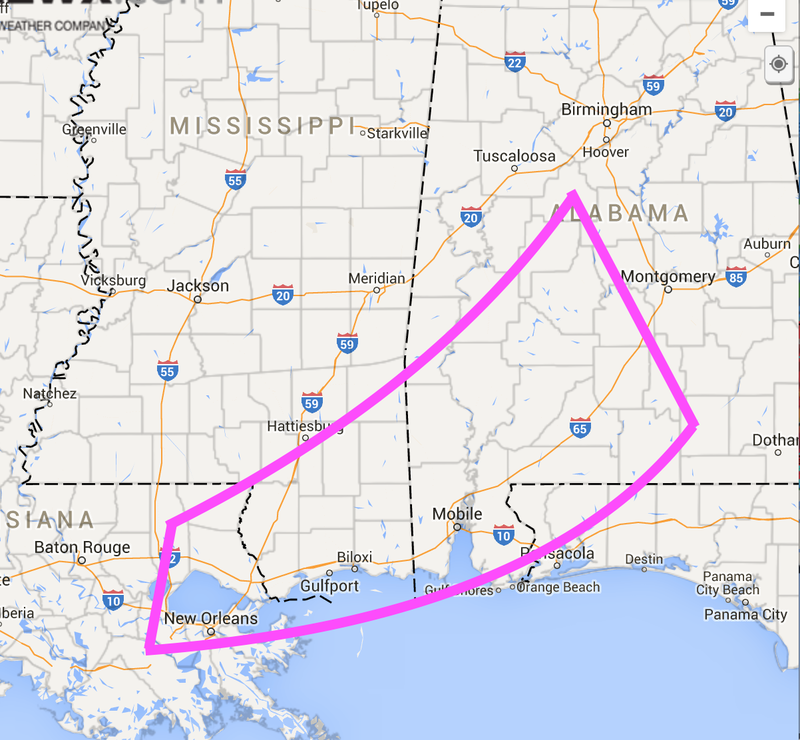 Please keep an eye on the weather if you are in these areas.